When it comes to cutting reliability, you can count on Wilson to provide quality and durability. 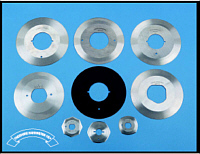 For over 25 years Wilson Machine Knife has manufactured and distributed replacement blades for Beaver, Comet, Eastman, Gerber, Gury, Investronics, Lectra, K.M., Kuris, Lightning, Maimin and Wolf. 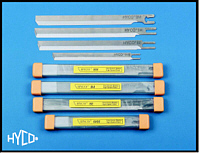 Wilson uses the finest materials to produce consistent metallurgy in our blades. The result is longer blade life, less down time and reduced blade replacement cost. Our hollow ground knife edge is more efficient than a straight grind, allowing for relief from binding, giving a superior, cleaner cut.